Don't you just love it when a project just falls into your lap! 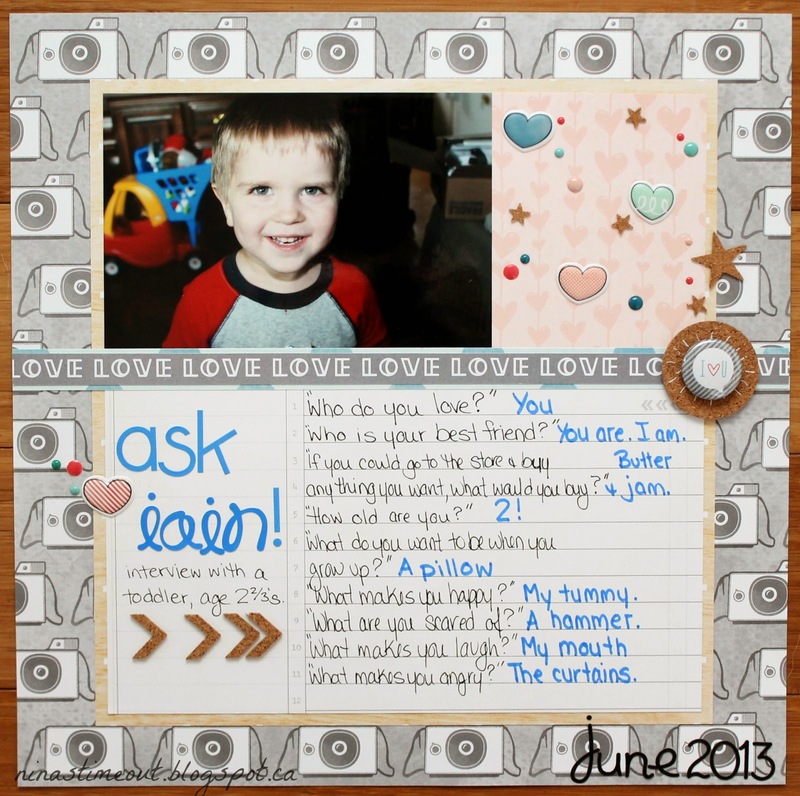 Scrapbookin' Adventures newest facebook challenge is to interview someone and create a layout about it. Lucky for me, I just happened to have "interviewed" my son last summer but had yet to do anything with the info. This was so much fun! I'm going to have to remember to do another interview with the same questions next month and see what has changed! OMG his answers are adorable!!! Cute layout and great idea!